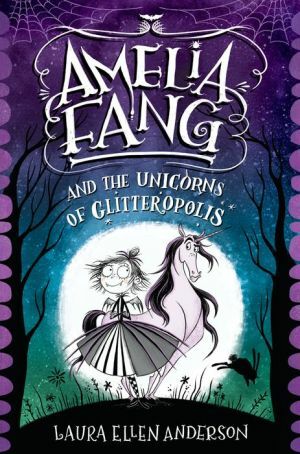 The second book in a hilarious illustrated middle-grade POB series for reluctant readers starring a vampire girl, Amelia Fang. Welcome to the world of Nocturnia, where darkness reigns supreme, glitter is terrifying, and unicorns are the stuff of nightmares! Amelia Fang and her friends love their dark and gloomy world of Nocturnia. But when Tangine's mom, Queen Fairyweather, goes missing, they must brave the journey to the terrifying Kingdom of the Light. With fairies and angel-kittens lurking around every corner, who can they trust? And will they finally uncover the real villain keeping the kingdoms of Light and Dark mortal enemies?